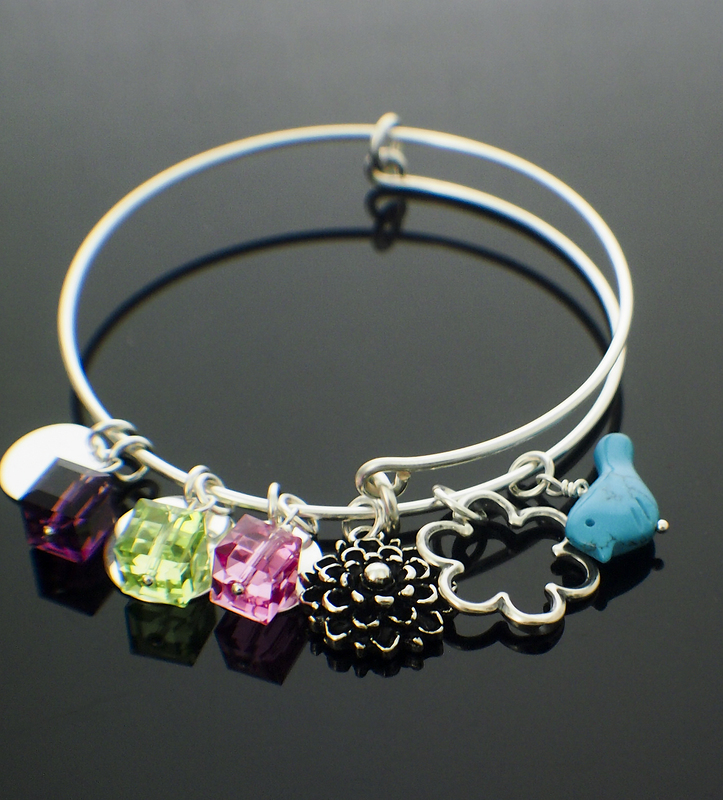 Here is the same bangle but in silver plate with different beads. Look at the difference that makes! Go raid your bead stash and make a bunch! 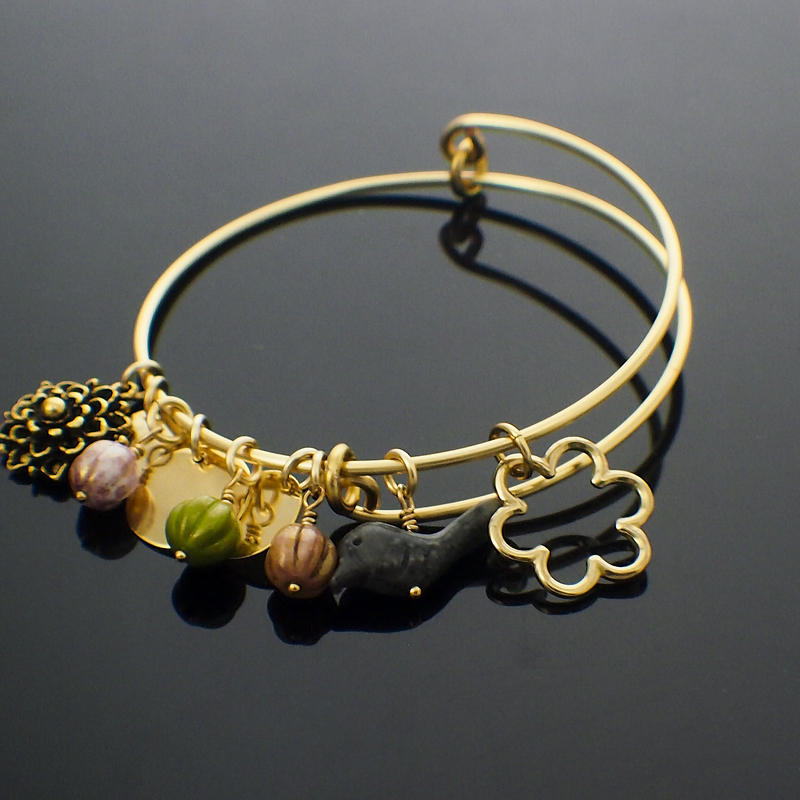 I sell the wire, bangle bases and instructions!